ELLENSBURG, Wash.-The trip to Texas A&M and a National title will have to go through Memorial Stadium once again for the CWU Men’s Rugby team. The annual 7’s competition brings together Northwest Collegiate Rugby Conference (NCRC) foes in Seattle.The winner advances to the USA Rugby 7’s National Championship in College Station, Texas. Central Washington Men’s Rugby team has thoroughly dominated the competition throughout the NCRC 7’s Series. Winning both tournaments at Oregon State University and Washington State University. The Wildcats have not lost in 7’s competition this year and will look to continue that trend. Even though the Wildcats are favored, they will see some stiff competition from Western Washington and Oregon State. Western was a 2011 USA 7’s Rugby National Championship participant.The Vikings played the Wildcats in the Cup final at the Palouse 7’s tournament hosted by Washington State. The Beavers also played the Wildcats in the Cup final at their home tournament where the Wildcats won a hard fought match. This entry was posted in CWU Sport Clubs, Rugby on October 17, 2012 by cwusportclubs. (Ellensburg, WA – Oct. 8, 2012) The CWU Wake Sports Club successfully defended their West Coast Collegiate Wakeboard Championship title in Sacramento this past weekend. CWU handily won the competition by 27 points, as the closest competitor was defending national champion Chico State. Six divisions were up for grabs; Men’s A, B, C, D, Wake Skate and Women’s Open. Saturday’s preliminary round advanced nine CWU riders into the final round on Sunday. CWU’s own Thomas Olson and Kolby Blew finished fourth and fifth in the Men A’s riders and in the Men B’s division Sean Harris, Corbin Schafer and Eddie Roberts were top seeds in the finals. CWU swept the Men’s B with Roberts in first, Harris in second and Schafer in third. Mike Day finished second in Men’s C and Patrick Mahoney finished second in Men’s D and also finished third in Wake Skate. Chelsea Worland represented the ladies division and finished second. CWU will now focus on the Alt Games National Wakeboard Championship in spring of 2013. This entry was posted in Wake Sports and tagged 2013, Alt Games, college, CWU, Sport Clubs, USA Wakeboard, wake, wake sports, West Coast on October 8, 2012 by cwusportclubs. As a result of the consistently poor air quality, the women’s soccer game scheduled for Sunday, October 7th, against Washington State University, has been canceled. This match-up is currently being re-scheduled and a new date will soon be confirmed. This entry was posted in US Bank Scholarships on October 2, 2012 by cwusportclubs. Central Washington Wrestling is riding into the 2012-2013 season with more momentum then a runaway train. After taking 3rd place in the West Coast Conference and 7th place (DII) at NCWA Nationals, the Wildcats have added new coach, Eric Idler, who formerly coached the Wildcats when they competed at the NCAA DII level. He produced 37 All-Americans and built a powerhouse program. Central returns 5 national qualifiers and will have a full team this year. The Wildcats will be hosting the first ever NCWA Pacific Northwest Championships in Ellensburg. Their schedule and other team information is posted at this link CWU Wrestling Schedule. The Schedule is also listed below. Make sure to check back for updates as CWU Wrestling could add more events. This entry was posted in Wrestling on October 1, 2012 by cwusportclubs. 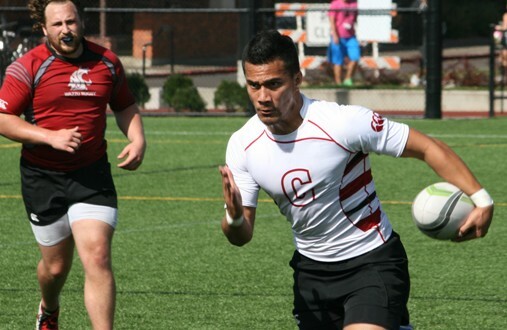 CWU Rugby continued their dominance in Northwest 7′s as they outscored opponents 165 to 0. They will travel to Washington State this weekend as they continue the Northwest 7′s series. More information on their dominance can be found at this link. This entry was posted in Rugby on October 1, 2012 by cwusportclubs.